Defending a Super Bowl championship is one thing, defending your first Super Bowl championship is another. The Philadelphia Eagles entered the league new year as defending champions for the first time in franchise history and even though they lost vital pieces to last year’s team, they did their best to bring in additional help while re-signing others. Most notably in terms of losses are that on the defense, including both Beau Allen and Vinny Curry signing with Tampa Bay and Patrick Robinson re-joining the Saints after a career year in the slot. Tight end Trey Burton joined Chicago and RB LeGarrette Blount headed for Detroit on the offensive side of the ball as well. With that turnover, the Eagles brought in former Seahawks edge Michael Bennett to take over for Curry and signed former Lions DI Haloti Ngata to fill the void left by Allen. 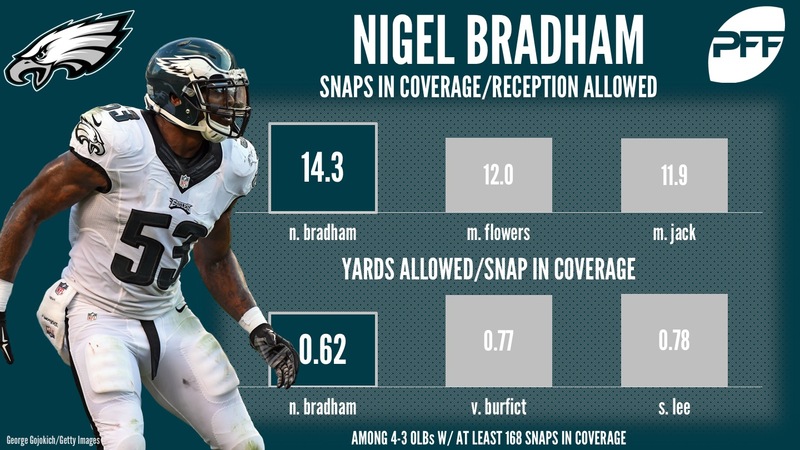 The re-signing of Nigel Bradham to lock up one of the league’s best linebackers in coverage should not be under-appreciated, nor should bringing in both Corey Nelson and Paul Worrilow to bolster the linebacker corps. The return of a healthy Carson Wentz and potentially some youth built through the draft could have this Eagles team the favorite to win their division if not go all the way back to the Super Bowl in 2018.